Recent information about the bankruptcy of the Korean company Zalman Tech Co., Ltd. was not just a gross exaggeration, and banal network duck. As it turned out, the company had only started the process of restructuring, it is regular for the high-tech industry. 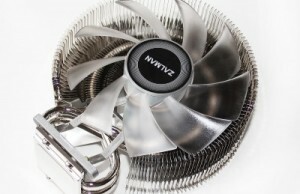 It is not surprising that the Zalman continues to develop and produce coolers, including new and Zalman CNPS8X Optima. The cooling system is delivered in a cardboard box of medium size predominantly black. On the front side of the box depicts a cooler, and underneath are the icons of its key features. Can not be accused of non-informative and the rest of the box – they can find all the necessary information about the device, including the technical characteristics and country of manufacture. Inside the cardboard sheath inserted additional plastic box, cast in the form of the cooler. That is to say that the reliability of such a package can not be doubted. Lie on top installation instructions, a small bag of thermal paste Zalman ZM-STG2M, as well as the plastic frame with locking studs. Zalman CNPS8X Optima is available in China, and it is given a two-year warranty. The cost of the cooler in Russia at the time this article was 1,590 rubles, while abroad it sells for $ 37. Externally, the new Zalman CNPS8X Optima looks very neat and compact cooler, despite the tower design type radiator. The height of the cooler is 148.5 mm, and the width and thickness are 110 and 81 mm respectively. It would seem that the design Zalman CNPS8X Optima utterly banal: aluminum radiator on the three copper heat pipes and fan mounted on one of its sides. However, even in such a simple device for the cooler engineers Korean company immediately implemented six innovation (in their opinion) solutions. Before proceeding to their enumeration and description, look at the top and bottom of the cooler. First of all, it should be said about the technology FDC (Fluid Distribution Chamber), which consists in creating a special air chamber between the fan and heatsink that would increase the static pressure and the efficiency of the cooler as a whole. Next comes the TAC (Turbulence Acceleration Convex) – optimized form of cooling fins, promotes more rapid passage therethrough of air flow and heat load removal. Another technology is the MLS (Multi-layer Slit), the so-called multi-layer form the ribs. According to the developers, this form of ribs contributes not only to decrease the resistance of the air flow (which is doubtful), but also increase the usable area of the ribs. We add that the aluminum fins of the radiator have a thickness of 0.4 mm and pressed onto the heat pipes with intercostal spacing of 2.0 mm. Three heat pipes with a diameter of 6 mm permeate ribs offset relative to one another for a more uniform heat flux distribution. 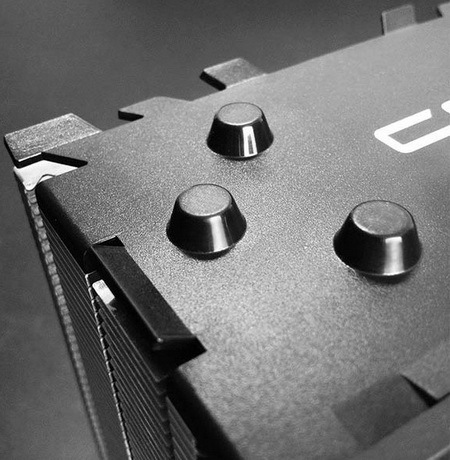 Zalman CNPS8X Optima – cooler with direct contact technology. The distance between the tubes in the ground is, for the word, 3 mm filled aluminum insert. Just say it’s not the best solution in terms of uniform heat transfer from the cover of the processor, but it is clear that it is primarily the result of the desire to make the cooling system more simple in production and available to the end user. When installing the cooler on the AMD Socket AM3 + constructive, we received the following prints. As you can see, the contact was provided over the entire area heat spreader, but there is the fact that even teplosёm should not even hope for. At Zalman CNPS8X Optima installed one seven-bladed fan with a diameter of 100 mm and a thickness of 25 mm. Its role and the fastening frame to the radiator plays a plastic casing, the bottom of which there are two panels to guide airflow near-socket space elements. Another feature of this fan are Shark Fin – special “fins” on the blades, structuring airflow and help to reduce the noise level. As for technical characteristics of the fan, the rotation speed is regulated by pulse width modulation in a range from 1000 to 2100 rev / min, the noise level from 18.2 dB to 30.0. The service life of a plain bearing must be at least 30 000 hours, the starting voltage is 3.6 V, and the maximum power consumption “pinwheel” does not exceed 2.5 watts. 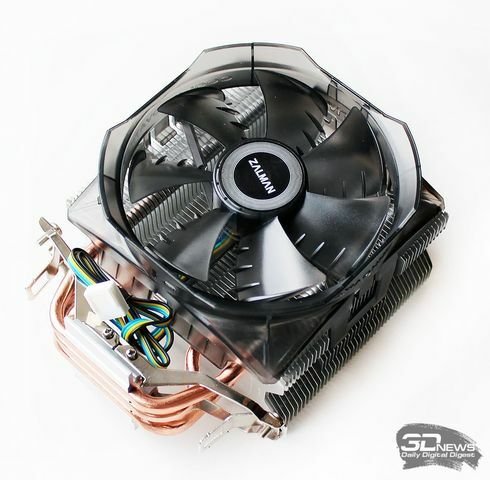 Here is such a high-tech cooler turned from Zalman. 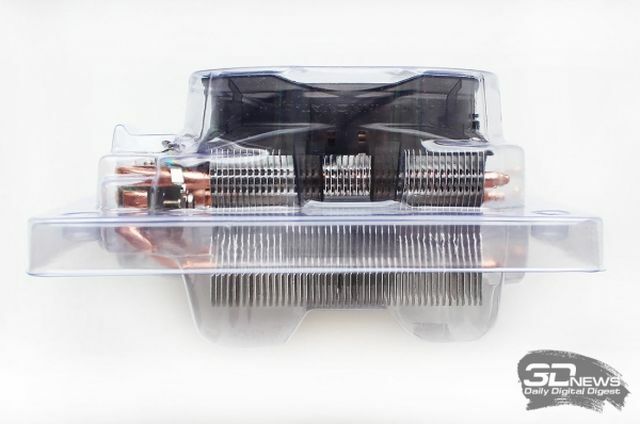 Despite the fact that the official website in the characteristics Zalman CNPS8X Optima designated support LGA2011, actually mounts for this type of processor sockets in this cooler is not. 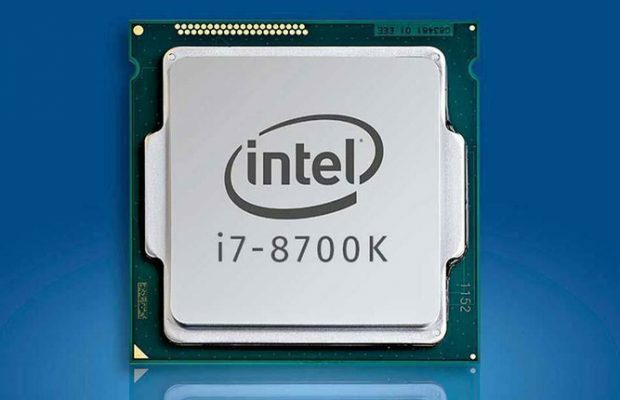 Yes, the better, in our opinion, it was too modest to cool the top processors. But on all other processors novelty can be set. It becomes very easy. For example, the cooler for AMD processors installed using conventional hooks for standard plastic frame corners of the motherboard and the clamping screw. When installing the Zalman CNPS8X Optima platform for Intel processors is used as a mounting support frame, fixed in holes in the board with special nails. And then everything is the same. The whole procedure of installation of the cooling system on board takes no more than a couple of minutes, and the clamping force at the same time there is a pretty high. In other words, in this sense could be called the ideal Zalman. Compact cooler and not less than 45 mm distance from the lower edge of the motherboard to allow its use with memory modules of any height. It is the same inside the system case where Zalman CNPS8X Optima looks very neat and aesthetically pleasing. 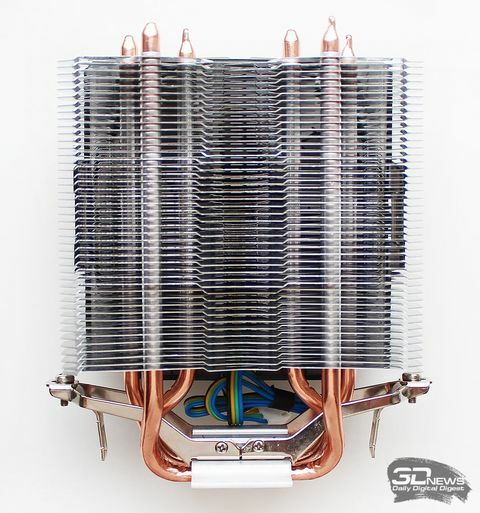 The height of the installed CPU cooler is 153 mm, that is, it can be used even in a relatively narrow system block. 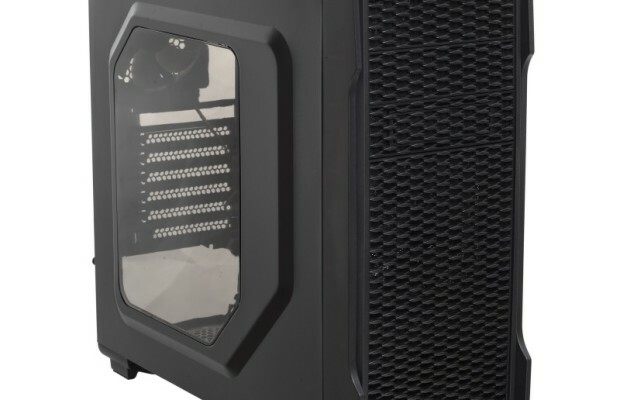 That’s all that we wanted to tell you about Zalman CNPS8X Optima in the narrative part of the article, and immediately after the presentation of the methodology move on to testing.